The figurative language of Maggie O’Farrell…. I like to share interesting pieces of figurative language I encounter in my reading. 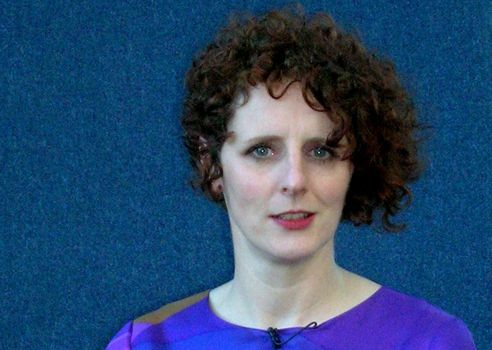 I write today about a series of similes metaphors from the Irish writer Maggie O’Farrell (pictured above)…. My husband picked up a new Maggie O’Farrell book from the library and I nabbed it before he even had a chance to crack the spine. (To be fair, he was already engrossed in another book and I’m a fast reader so he had the O’Farrell back very quickly.) It was the title that captured my attention: I am I am I am, a line taken from a Sylvia Plath poem. The book’s subtitle is another attention-getter: Seventeen brushes with death. The book is a memoir—told entirely from the point of view of near-death experiences, ranging from a distressing airplane incident to a near-attack from a stranger on a remote hillside. But it was O’Farrell’s figurative language that truly captured my attention. The rather sententious, exacting man who insists on a specific table, certain soap, and entirely fat-free milk has a penchant for cloud-soft cashmere socks and exuberantly patterned silk underwear. How should I have articulated to this policeman that I could sense the urge for violence radiating off the man like heat off a stone? All of them have summer jobs of varying descriptions, serving the tourists who clog the town in these months, like sand in a shoe. At this point, your lungs start to burn, your pulse races, your heart tripping into an allegretto time signature, aiming to alert you to the situation, as if you haven’t noticed that you are about to die. The bathroom at his house is always full of dripping, sandy wetsuits, which loom above the shower like hanged men. When I told him I wanted to write, he didn’t laugh but tilted his head in a serious, thoughtful fashion, as if letting this idea find its place in his mind. Around me, the cabin is shaken like a snow globe: handbags, juice cans, apples, shoes, sweaters rise from the floor. I can see the whir of thought through his brain, can read it like ticker-tape coming out of a machine. I rise and fall with the pulse of the sea. I wait, treading water between ocean and surf letting the humpback of a wave approach, lift and release me, passing on. I feel as though I’ve slipped through a fissure, like a person kidnapped by fairies, as if I’ve been away for years and returned to find that everything has stood still. I crawl forwards, through the surf, spitting out water, pushing wet ropes of hair out of my eyes.